Composite of the 2016 Matsomoto Prize nominees. The 2016 Matsumoto Prize, supported by the McAdams Foundation, includes public voting to determine three “People’s Choice” winners. Anyone may vote by email (one time per email address) for his or her favorite entry starting today and running through June 29. The Matsumoto Prize is named for George Matsumoto, FAIA, an eminent Modernist architect well-known for exceptional residential designs. Matsumoto also serves as Honorary Chair for the Prize’s blue-ribbon jury of professional architects who select the Jury Award winners of cash prizes from a pool of $6000. Online voting ends at 5 p.m. EST, June 29. For more information about the 2016 Matsumoto Prize, go to www.ncmodernist.org/prize2016. 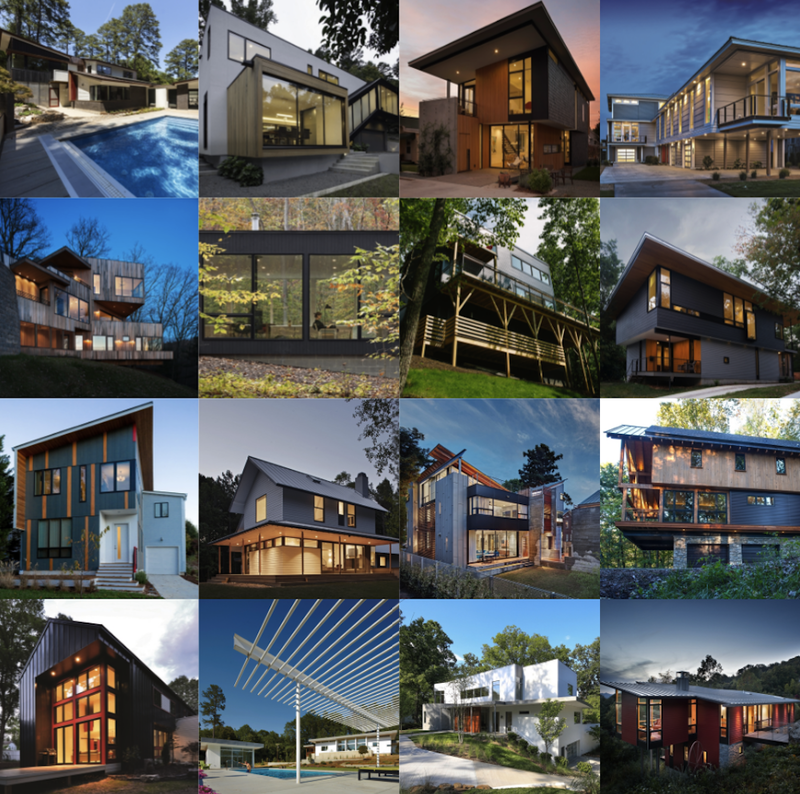 North Carolina Modernist Houses (NCMH) is an award-winning, 501C3 nonprofit organizations established in 2007 and dedicated to documenting, preserving, and promoting Modernist residential design. This year, the American Institute of Architects awarded NCMH founder and director George Smart its Collaborative Achievement Award for his work with NCMH. The website www.ncmodernist.org is now the largest open digital archive for Modernist residential design in America. NCMH also hosts popular architecture events every month and frequent home tours, giving the public access to the most exciting residential architecture, past and present. These tours and events raise awareness and help preserve these “livable works of art” for future generations. For more information: www.ncmodernist.org. Find NCMH on Facebook. Follow NCMH on Twitter and Instagram.